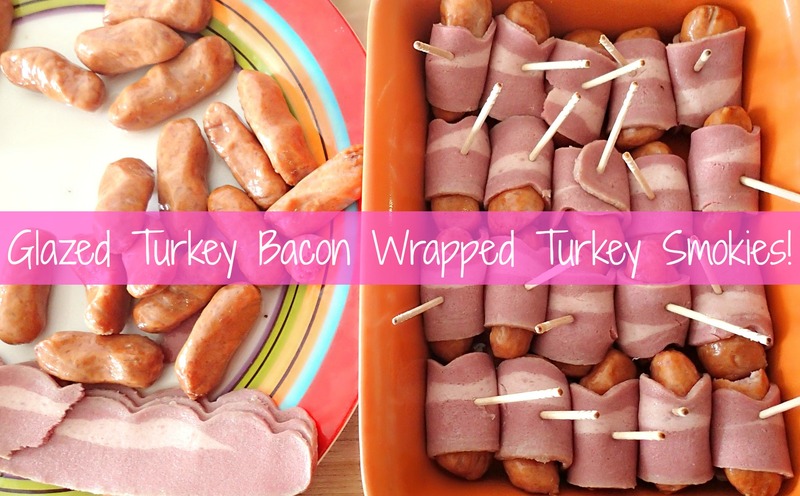 Glazed Turkey Bacon Wrapped Turkey Smokies! 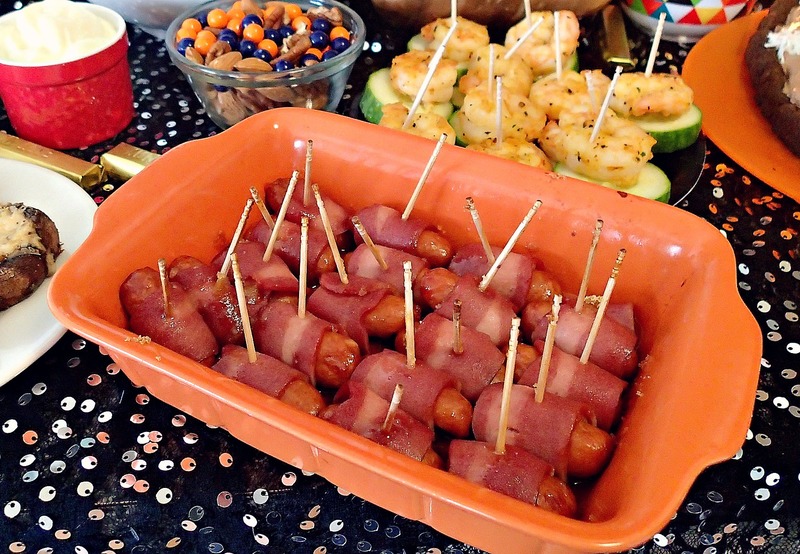 I still have some recipes from our Superbowl get-together to post! Better late than never…right? 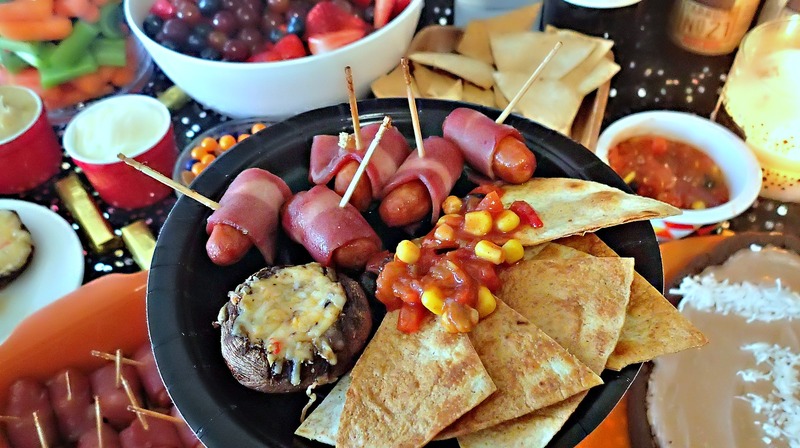 This one is great for sports parties, Christmas, bbqs, birthdays, brunches, Halloween, or just for the heck of it! When I was in 6th grade, my family went to my mom’s boss’s Superbowl party. 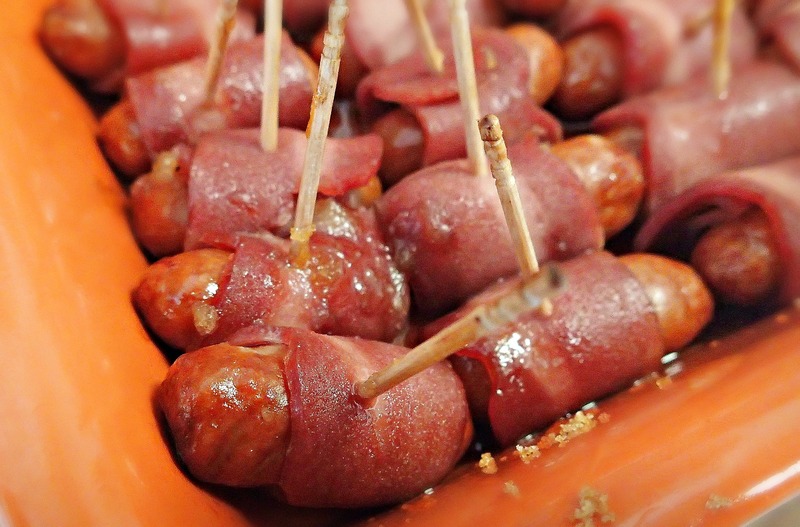 He had bacon wrapped little smokies on the food table and it was my first trying them. I couldn’t get over how good they were! My mom used to make them for us all the time after that. (Thanks, Mike for the great recipe idea) The original recipe is made with bacon, smokies, butter, and brown sugar. I make them a little lighter and they still taste fantastic! To me, eating healthy is about making swaps in order to enjoy the things we love. Jeremy asks me to make them all the time. It’s safe to say that they are man approved! The ingredients will depend on how many you plan to make! We only had a couple people over, so I didn’t make too many. But they go fast, so if you are having a large party, make plenty! 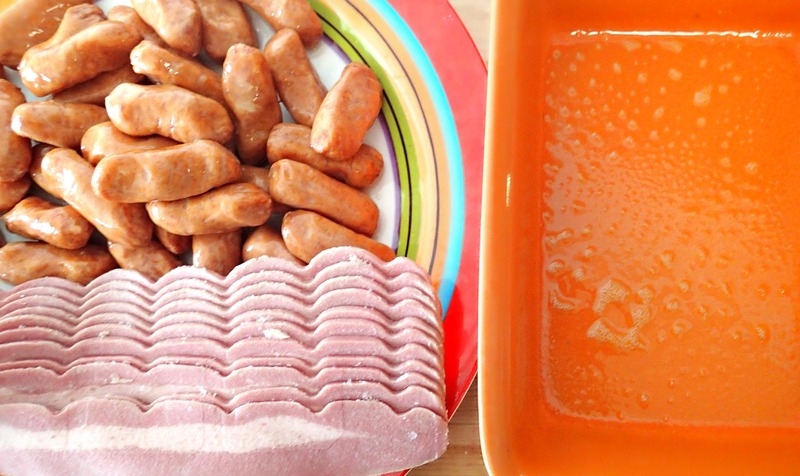 Ingredients: Turkey Bacon, All Natural Little Turkey Smokies, Organic Honey, Brown Sugar! You don’t have to grease the pan because the bacon has enough grease, but I usually coat it in cooking spray to prevent the bottom of the pan from staining. -Cut the strips of bacon in half or in thirds. 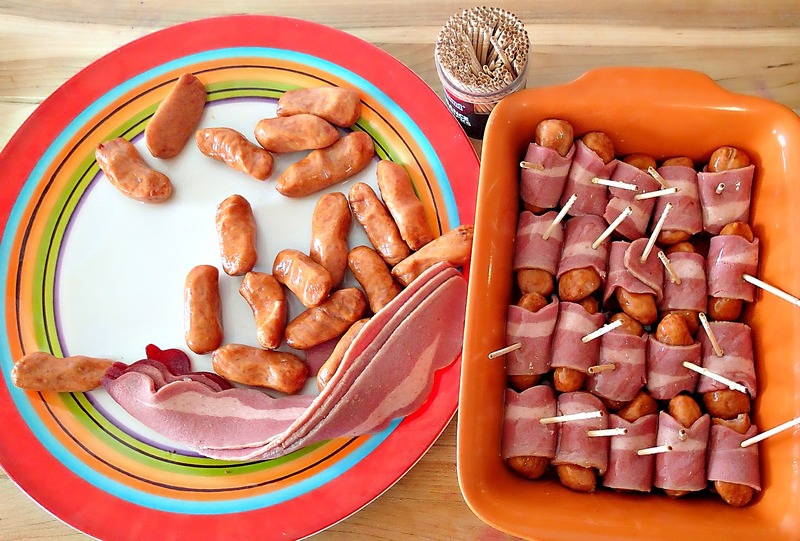 -Wrap each little smokie with turkey bacon. -Only wrap the bacon around the little smokie once. 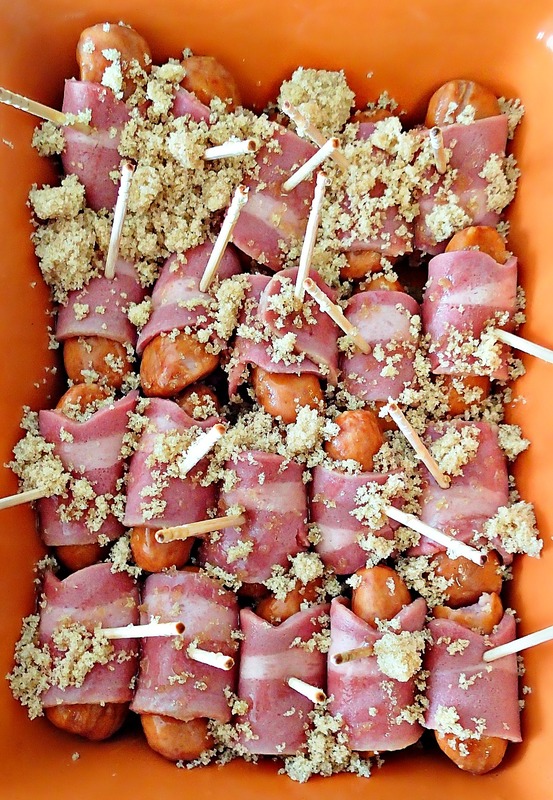 -Use a toothpick to hold the bacon and little smokie together. -Place them into the pan. Sprinkle brown sugar on top of the little smokies and drizzle honey on top. Don’t bury them, but use enough to make them sweet! Cook for 15 to 20 minutes! Let them cool in the pan before removing them. These are really good the next day, too. There won’t be many leftover if you are serving them at a party. They are literally too good to put down. Make extra’s if you plan on eating them the next day. My mom used to make an extra pan, keep them in the refrigerator and at half time she’d make a fresh batch! I hope you enjoy these as much as we did! I’ll be posting more recipes soon! Do you have a favorite appetizer that you like to make healthy? Unfortunatly i can’t get some of your Ingredients here, so i have to substitute…(Turkey Smokies – i never heard about! But i think i can try the recipe with some Low Fat Turkey ‘Wiener Würstchen’). Love the new website !! So classy. Realky excited for this recipie, your whole website is why I completely changed my eating habits !! Thank you so much, Adrienne! Thank you so much! :) I love it too! A nice fresh start away from Tumblr! <3 Hope you like this recipe! I love the new site! But are you keeping the old one too? The new site looks great; so organised and easy to navigate through! However, I would like to make a suggestion. For the recipe tab, it is hard to look through the pages and pages of recipes you have. Could you make a recipe index and list all the recipes like your tumblr page? Other than that, your site is awesome! The tumblr site would never work properly for me but not I can see everything and make comments! Love the new site so much! Great job! I LOVE the new site Tara! So exciting! User friendly and really visually appealing. Good job! Thank you so much! That is the kind of feedback that makes my day! I’m working really hard on making it better, so thank you so much!! Friday's Treadmill & Strength Training Workout + Post Fuel!